This article was last updated on Dec. 2, 2014. The prestige of law school does not come cheap. The average law school tuition is over $40,000, leaving many students with six-figure debts upon graduation. It doesn’t help that graduating law students are also facing the toughest job market in years. Many scholarships and programs are offered to offset the gap between public and private sector salaries, which can be as much as $85,000. These programs support students pursuing their desired career path, without having to worry about expected income or debt. Some schools offer full-tuition scholarships to students who make a moral commitment to public interest. The New York Univeristy School of Law offers the Root-Tilden-Kern Public Interest Scholarship, which offers full-tuition regardless of financial need. Twenty scholarships are provided each year based on three criteria: commitment to public service, academic achievement, and leadership potential. The program was established in 1951, and is an outstanding example of the types of scholarships available at individual schools. This scholarship awards $10,000 to senior undergraduate students, college graduates, or graduate students who are inclined to pursue a career in corporate law, or working in a law firm and/or a corporate law department. Preference is given to applicantÍs who need financial assistance to further their studies, and those who have demonstrated exceptional leadership qualities through their involvement in community activities. Everyone loves legal writing right? The Judge John R. Brown Scholarship Foundation offers a $10,000 award in recognition of excellence in legal writing. The contest/scholarship is open to any law student enrolled in the U.S. seeking a J.D. or LL.B degree. Students must submit four copies of a current legal writing and a letter of recommendation from a law school faculty member or legal professional. Applications are due in early June with awards being announced at the end of October. The Foundation provides this scholarship to a student already enrolled at a California law school. Candidate must be able to demonstrate a strong commitment to public service and intent to pursue a career in public interest within California after graduation. Each school is allowed to nominate up to 5 candidates annually, with awards of up to $7,500. Nominations are due in mid-March. This scholarship is similar to the previous but was created to support newly admitted law students from ethnic or racial groups historically underrepresented in the legal profession. Up to $7,500 is awarded to first-year law students that are committed to making an impact in the community through leadership by practicing law in California. There is no requirement that recipients pursue careers in public service. Students may apply directly for this award by submitted two letters of recommendation and by demonstrating financial need. Applications are due in early June and awarded in the fall. This annual scholarship was established by the County Prosecutors Association of New Jersey Foundation in memory of Harris Y. Cotton. The scholarship awards $2,500 to a student who has been accepted in a law school, and wishes to pursue a career as a prosecutor with an emphasis on hate crimes or domestic violence cases. Only residents of New Jersey are eligible to apply, with applications due mid-June. The NAACP sponsors this scholarship, which is provided to an NAACP member under the age of 25 pursing a law degree at an accredited program. Students must have a GPA of at least 2.5 and be able to demonstrate financial need. While not a traditional scholarship, many law schools provide financial aid to students pursuing jobs in the public sector in the form of Loan Repayment Assistance Programs. Students pursuing jobs in public interest, government, or academic sectors can apply to these programs to help bridge the gap between their income and debt obligations. For example, the mean salary in the public interest sector was $45,678 for 2010-2011, while the mean indebtedness was over $100,000. LRAPs help support students wanting to go into the public sector, that might otherwise choose private practice which offers higher compensation. Approximately half of the 200 ABA-accredited schools offer some time of LRAP, but each school’s program is unique and therefore varies in their conditions and level of support. EqualJusticeWorks.org has a great list of LRAPs by school to get you started on your research. 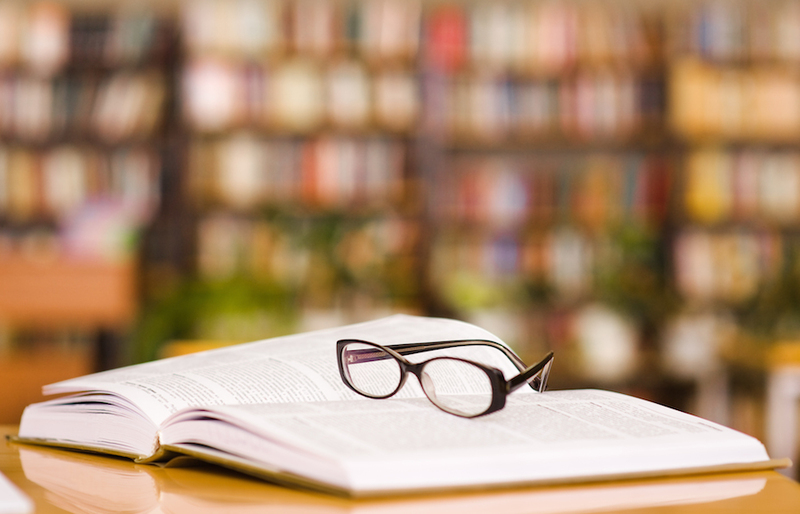 Books and glasses photo via Shutterstock.